Samsung is one of the biggest Smartphone manufacturers right now. Recently they have launched Galaxy S8 and Galaxy S8+ flagship in MWC 2017. After the big success of Samsung Galaxy S7, now it’s time for the company to move on with new innovations. The Galaxy S8 and S8+ smartphone are a true example “What a smartphone can do?“. The Galaxy S8 series has much better specs and performance like a charm. This blog is dedicated to Samsung Fans. Here you will know everything about Samsung mobile devices like smartphone, wearables and more. Both phones are available in market at a price of $729 USD for Galaxy S8 and $839 USD for S8+. You can check below option for booking one for yourself. Samsung has launched Galaxy S7 and S7 Edge smartphone last year in February. Both the devices offer really amazing performance, best camera features, and awesome design as well. The GalaxyS7 Edge is one of the hottest selling smartphones last year as currently as well. The Galaxy S7 has decreased to ground level and now everyone can get it. Check out GalaxyS7 review here. The price for these smartphone has been dropped to $469 USD now. So, if you have missed it last year then this is the time to grab it. You can check below link to buy this device. You can check complete specs and features of S7 below. Samsung Galaxy S7 Series: Bigger, better and Smarter Smartphone ever! The Galaxy S7 is an evolution of the prior year’s model, restoring design traits from the Galaxy S5 such as IP certification for water and dust resistance, as well as expandable storage. 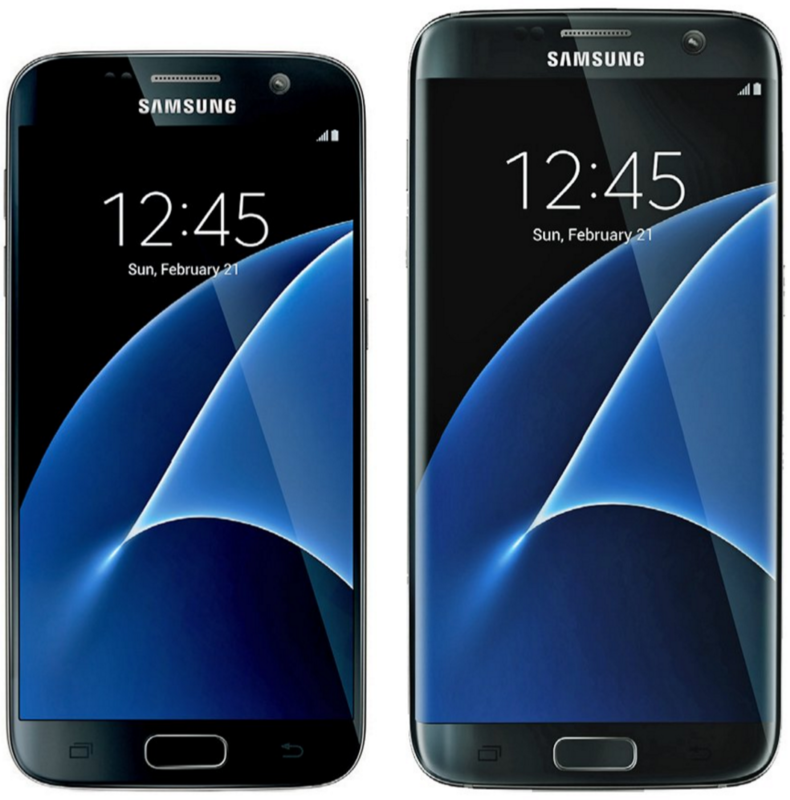 Samsung Galaxy S7 will have the most advanced specification and features. Let’s take a brief look on what are the specifications of Galaxy S7. Now both Galaxy S7 and Galaxy S7 Edge Smartphone are launched. Let’s check out complete specs of Samsung’s latest flagship. Samsung’s latest flagship looks really high end with giving more feature and power to the users. Also from past couple of months we are hearing a great issue regarding micro SD card slot. So, now all clear that Micro SD card support is back with even better capability. Both Smartphone’s will be able to support micro SD card up to 200 GB. You can also use DUAL SIM functionality incase you don’t want to use micro SD card. “ Samsung Galaxy S7 ” All time Beast! The latest Galaxy Smartphone comes with 7.9 mm thin ultra-slim design which is further protected by IP68 dust & water proof Standards. It also has Gorilla Glass 5 on the back panel. As per recent Unpacked event, there will be four color variants available. It boasts an improved Force touch display with TouchWiz UI which give you more customized interface over the phone. Both phones are going to run on Qualcomm Snapdragon 820 as well as Exynos 8890 Octa processor. The MSM8996 Snapdragon 820 processor runs 2.15 GHz Dual core chipset while Exynos 8890 Octa will have 2.3 GHz clocks per cycle. So, Exynos variant is more powerful as compare to Snapdragon. As per official announcement S7 flagship has 30% efficient CPU and 64% better GPU as compare to last year launched Galaxy S6. Samsung is manufacturing Samsung Galaxy S7 and Galaxy S7 Edge Smartphones with 4GB RAM. It will have UFC 2.0 feature which will fasten your video recording experience with fast data storage. These phones will be available with 32 GB / 64 GB internal storage. You will be happy to know that GalaxyS7 flagship has micro SD card support up to 200 GB which is really great move by Samsung. 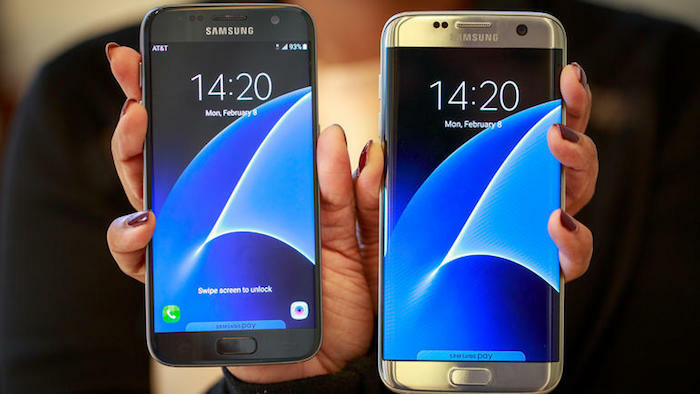 Talking about display sizes of these smartphone, Galaxy S7 boast a 5.1 inch SUPER AMOLED display and Galaxy S7 edge with 5.5 inch display. Both phones has QHD display with 1440 X 2560 pixels of resolution which is quite same as we have seen with its predecessors. The Galaxy S7 smartphone is going to have beautiful slick design (7.9 mm) and made of premium quality metal. It will have improved Force Touch TouchWIZ for better customisation. Now the phone is launched and we know the confirmed specs, yes it will not have 20 MP camera but you won’t find better than this. Samsung Galaxy S7 comes with a 12 MP, f/1.7 camera sensors and 5 MP front camera. This looks like quite disappointing as 12 mega pixels is very less as many low end devices these days features comparatively 12-16 MP. But it’s not like increasing pixels will help you to capture high quality images. The phone is going to have 12 Mega pixels f/1.7 aperture lens which offers large pixels and ability to capture high quality images even in low lights . The Galaxy S7 is capable of capturing [email protected], [email protected] with dual Video and HDR which is exceptionally great. See: How much 24K Gold plated Galaxy S7 will cost you? Samsung Galaxy S7 – What’s New! The Galaxy S7 are going to have fast charging enabled batteries that can be fully chargeable in no time. The Next Samsung Galaxy will be able to get 0-100% of charging in just 90 minutes (wired) and 120 minutes for wireless charging. Both phone’s are optimised to take really battery. So, Now you can book Galaxy S7 and Galaxy S7 Edge Smartphone’s from Amazon.com. As per amazon listing company is going to deliver smartphone with in week. Presently only 32GB variants are available for bookings. The prices on amazon.com are too high, starting from $848 for normal S7 and goes up to $990 USD for S7 Edge. All four colors are available. Update: Samsung has now unveiled it’s latest flagship at recent event held in Barcelona, Spain and Pre-orders are on ts peak. As per one of un-official report till now approx 17 million S7 variants have been booked. Customers are more attracted for Edge variants which is considerably exceptional. This year more than 60% of booked models are S7 Edge. If you are looking to book one for yourself then don’t wait as Samsung is also offering a Galaxy VR with booking latest Samsung Galaxy Smartphone. SAMSUNG GALAXY S7 Price list (Country-wise). So, Now both Samsung Galaxy S7 and Galaxy S7 Edge smartphone’s are launched and available. Both phone is available at price of $670 to $699 depending on your carrier. Below is the expected country wise price list for both S7 variants. The price listed above are based on the expectations, actual price can vary as per carrier and geographic location. Both device are listed at $28 and $33 USD monthly for two years contract on various carriers / retailers. So, what are waiting for… order a Galaxy S7 and get all the benefits as soon as possible because these offers are applicable for limited period of time. Although the price for Samsung’s latest Galaxy Smartphone are around 699 USD, you will find it much high on amazon for UNLOCKED GSM international version. All Galaxy Variants are available now starting at price of 771 USD. April 2016 Update: We are also getting rumours that Samsung can launch a Mini as well as an Active variant of S7 soon. The Galaxy S7 Active is reportedly have a rugged design with shock proof body and most of its specs will remain same as normal S7. While Galaxy S7 Mini will come with 4.6 inch large display, 3GB RAM, Snapdragon 820 configuration. Both these variants are reported tor release in Q2, 2016. So, before you leave make sure to give us a “Thumbs UP” by sharing us on social media from below social buttons. You can also join our Facebook fan page by liking us and get all updates of Galaxy S7 Smartphone instantly.